Information on Kingdom Hearts 3 has been slow coming. Despite some story details surfacing, and a few trailers showing off the game worlds, there's still a lot to learn about the anticipated RPG from Square Enix. Though we've had some news on the Kingdom Hearts 3 Keyblade Transformations in the past, there's been some new information. Director Tetsuya Nomura has yet to reveal how to activate keyblade transformations, though he has gone into a little more details on how they will work in feature on Kingdom Hearts 3 in April's Official PlayStation Magazine UK. He reveals more details about some of the game worlds, including Toy Story, Big Hero 6 and Monsters Inc, and specifically refers to Rapunzel's hair in the world of Tangled can be used in combat and traversal. Elsewhere, Nomura-san briefly touched on the inclusion of summons in Kingdom Hearts 3. In previous games, players were able to summon various characters in the midst of battle to aid Sora in combat, including the likes of Aladdin's Genie, Final Fantasy 7's Cloud Strife, and Peter Pan's Tinkerbell. “If I could provide a glimpse, I've made it more pretty. Not just the literal modeling, but it's more about how we're expressing it that has become more pretty,” he said. 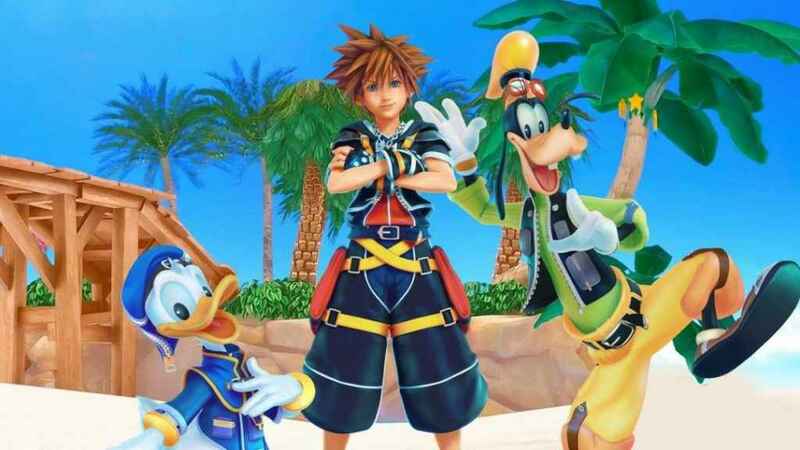 Square Enix has confirmed that Kingdom Hearts 3 is scheduled for release on PlayStation 4 and Xbox One in 2018, five years after it was originally announced during Sony's E3 2013 press conference. In addition, the publishing giant also revealed that the highly anticipated Disney RPG will include a new game world based on Toy Story, joining previously confirmed stages such as Big Hero 6 and others. Here, players will encounter a number of iconic characters from Pixar's much-loved franchise, such as Woody, Buzz Lightyear, and the rest of the gang in Andy's room. Stay tuned for more news on the Kingdom Hearts 3 keyblade transformations as soon as we get it.